The Don Quixote Project, a two year multi-faceted project inspired by the diverse South Side Bethlehem neighborhood and the desire to bridge the gap between the Anglo and Latino cultures, the adaptation, Don Quixote of Bethlehem, was born. 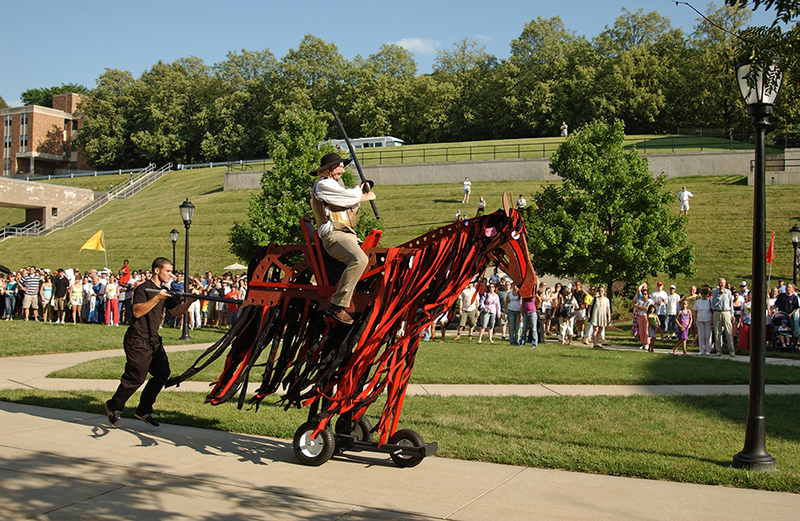 The traveling performance or “theatricade” involved over 100 community participants and moved from Lehigh University through the streets of the SouthSide ending at St. Michael’s Cemetery. This project involved the following community partners: Bethlehem Area Public Library, Bethlehem Area School District, City of Bethlehem, Council of Spanish Speaking Organizations, Holy Infancy Church, Lehigh University Art Galleries, Mock Turtle Marionette Theatre, Seniors Centers of Bethlehem, and South Bethlehem Neighborhood Center. Check out a scene from the show here.